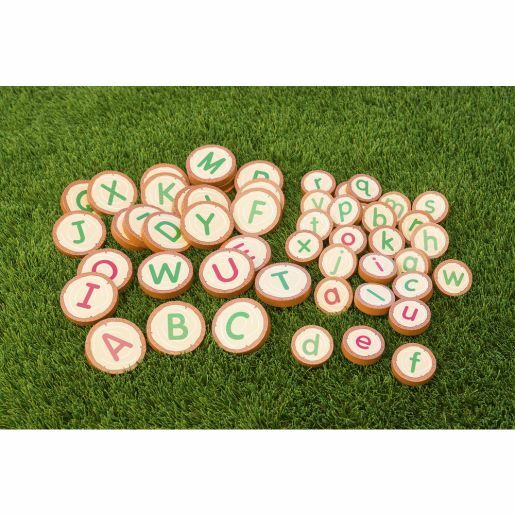 26 uppercase and 26 lowercase letters painted on one side of solid wood disks. Stack up in ABC order! Vowels are in red. Opposite side is blank for playing games. Canvas bag for storage. Activity guide included. 3/8" Thick x 2 3/8" Dia.